The (alleged?) 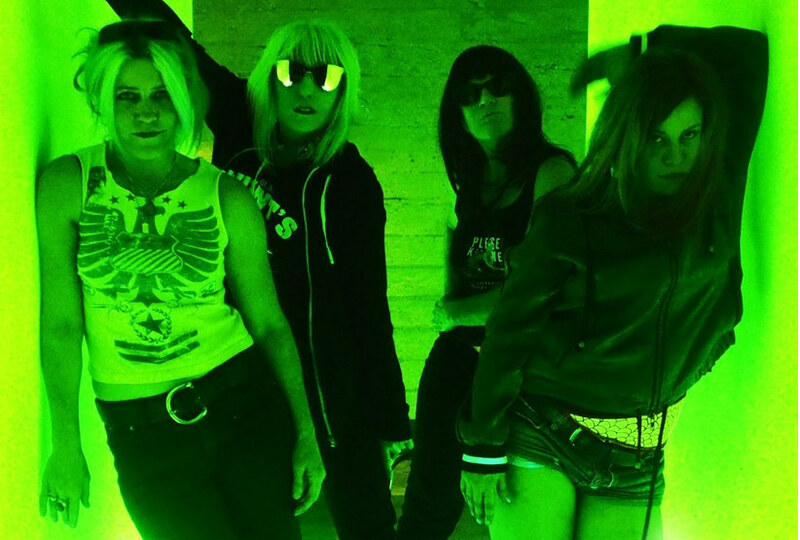 financial irregularities at PledgeMusic have left many bands (and their supporters) in the lurch, and I was beginning to get a little worried about the relative lack of updates/reassurance coming from L7’s corner of the interweb… but I needn’t have feared, because it’s just been announced that their new album, Scatter the Rats, will be released on May 3rd, via Joan Jett’s Blackheart Records label! Hurrah! They already have a new video out for lead single “Burn Baby”, directed by Courtney & Hillary Andujar (aka “The Andujar Twins”), and are getting plenty positive press ahead of their forthcoming tour… as well they should! Fun fact: In a recent interview to promote the imminent Captain Marvel movie, Brie Larson confessed to listening to a lot of L7 and Bikini Kill to pump herself up for the fight scenes! Good to know. Incidentally, Larson is no stranger to the recording-studio either, having released a solo album back in 2005, the title of which expressed her highy-relatable relief that after leaving school she was “Finally Out of P.E.” Amen, sister! This entry was posted in Rants about Films, Rants about Music and tagged Bikini Kill, Brie Larson, Burn Baby, Captain Marvel, Courtney Andujar, Finally Out of P.E., Hillary Andujar, Joan Jett, L7, Scatter the Rats, The Andujar Twins. Bookmark the permalink.